Sir Clive Sinclair has a new invention seeking crowdfunding for ‘A-Bike’; said to be the world’s lightest and compact electric folding bike. The A-Bike folds in seconds to transform your journey. 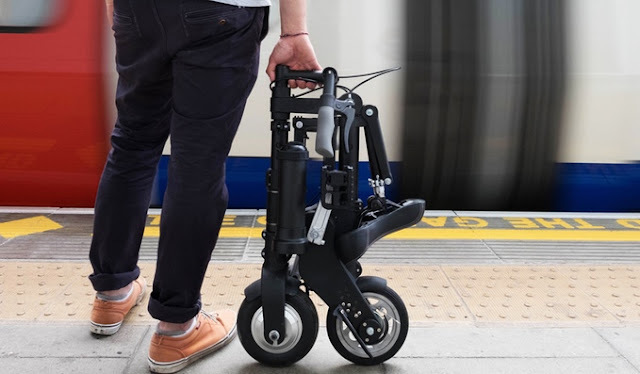 Its telescopic design makes it foldable to fit into any journey. The electric power assistance makes riding easy and keeps you going for up to 15 miles (25 km). The A-Bike Electric is great for those that want to have more freedom and fun on their daily journeys. The A-Bike Electric – an upgrade of the original which launched nearly a decade ago - is about to launch on Kickstarter, where Sinclair's team is hoping to secure £40,000 to get the prototype into production. The bike uses a brushless motor and quick charge 24V battery, which will power the electric element of the bike – although the rider can of course cycle without turning the power on. “The idea is that if you have a bicycle which is seriously lighter and more compact, it will change the way in which people see bikes” Sir Clive Sinclair said. 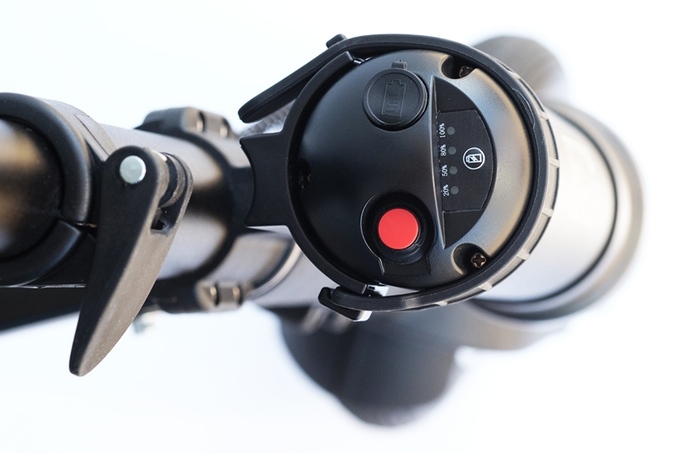 The red power button has a simple one click action to turn on or off the electric motor so you can choose when you want power assistance. Four LEDs display how much power you have left so you know how far you can go before needing to recharge. You don't need any special tools to take off the battery; the quick release strap means you can conveniently remove it for hassle free charging. As well as simply donating to the cause a limited number of initial backers could buy the A-Bike Electric for £449; the standard price is £589. This environment friendly innovative compact electric bike will greatly contribute in reducing harmful emission, space required for parking, use of fossil fuels and at the same time it keeps you healthy. Isn’t it an amazing invention from Sir Clive Sinclair? Follow the link below to pledge your backing to this innovative project.